Steven Spielberg‘s E.T. 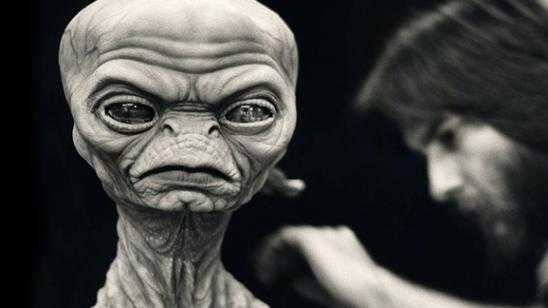 the Extra-Terrestrial (1982) is a classic in many movie goers minds but did you know that the E.T. sequel (E.T. 2 aka E.T. II) was being developed as an alien horror movie? Original film director Steven Spielberg and writer Melissa Mathison met and created a 9-page continuation on the E.T. story, and this sequel included scary evil aliens performing cattle mutilations and other horrifying acts. What a different take on the E.T. story. 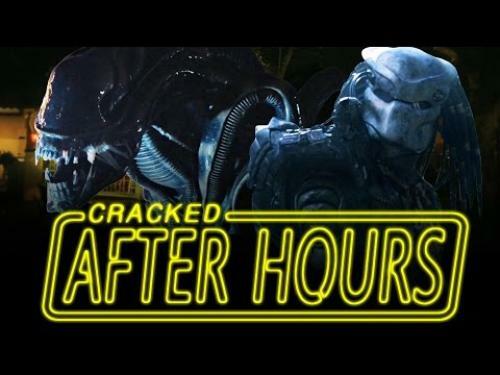 Fans of the original would have been shocked to see the completely different turn of events in this sequel. Elliot (Henry Thomas) races with his siblings (Michael and Gertie) after calling his friends (Steve, Tyler, and Greg) to meet them at the forest expecting to see his little friend. Things would have then taken a sudden turn as he, his siblings, and his friends would have been met by a new group of terrifying aliens. Abducted and aboard the evil mother ship, they are then treated to mental and physical torture! When the children regain their senses, they are surrounded by the evil alien creatures who were hiding in the forest. The creatures are carrying some kind of dagger. Elliott advances in a friendly gesture but barely escapes being bitten, or even killed, by the alien’s razor-sharp teeth! Several of the aliens bare their fangs from time to time to show they mean business. Korel orders that the children be brought aboard. Reluctantly Elliott and his friends follow. Shocking!? Drew Barrymore would have returned as Gertie to be one of the siblings tortured in the entire second act, an entire second act of torture. What? 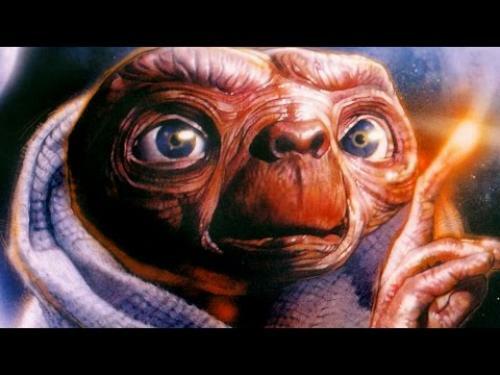 The ending act would have included E.T. returning a hero saving his friends. Check the full E.T. sequel article here via HorrorFreakNews. 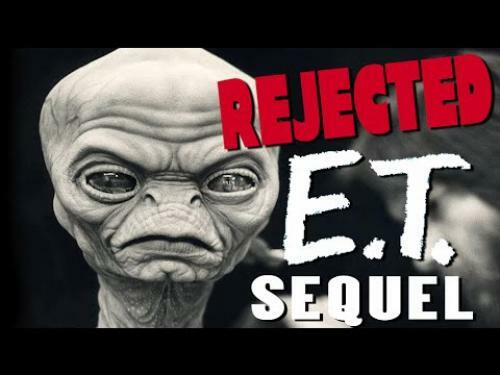 Enjoy the videos below from various sources all discussing the E.T. sequel aka E.T. II film.